Yellowed, stained teeth can affect more than just the appearance of your smile. Discolored teeth can age the face and cause embarrassment. Fortunately, the shade of your teeth can be dramatically brightened in as little as a single dental visit with Zoom!® teeth whitening treatment. At Dr. Stephen Lipman's Windsor cosmetic dentistry practice, you will find a number of treatments, including Zoom!® teeth whitening to drastically improve the appearance of your smile. Zoom!® teeth whitening is a professional level teeth whitening system; the treatment is performed in the dentist's office. The Zoom!® whitening treatment begins with the application of a special bleaching gel on the teeth. A light is then applied to the teeth for 30 minutes or less. Once the desired length of time is reached, the gel is rinsed away and the teeth are left dramatically whiter. A brighter smile is just one of the many results you can expect to see with Zoom!® teeth whitening. Here are some other results you can expect to experience with Zoom!® whitening. Up to Eight Shades Lighter: Zoom!® whitening leaves the teeth up to eight shades lighter in a single 30-minute treatment. For those with deeper staining, further brightening can be achieved with a second treatment or a dentist recommended at-home whitening system. Instant Results: For our patients in Windsor, Zoom!® teeth whitening provides instant results in a single dental visit; this is perfect for patients with a busy lifestyle. Zoom!® teeth whitening is one of the quickest, non-invasive ways to dramatically improve the appearance of your smile. Rejuvenated Smile: As we age, out teeth become yellowed and discolored. 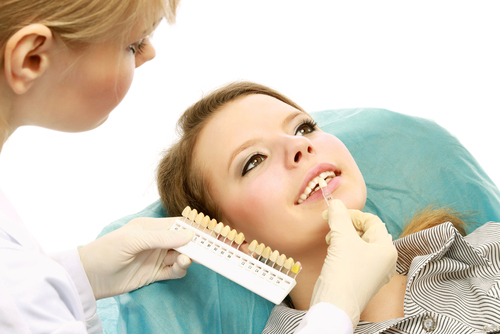 Yellowed teeth add years to your appearance. Zoom!® teeth whitening will lighten your teeth up to eight shades and instantly rejuvenate your appearance. Increased Confidence: One of the most beneficial results of Zoom!® teeth whitening is the increase in confidence you will feel from knowing your teeth are a gorgeous shade of white. Irritated Gums: In rare cases, the whitening gel used in the teeth whitening procedure can cause gum irritation. For most people who experience gum irritation, discomfort tends to stop within a few days following treatment. Technicolor Teeth: “Technicolor teeth” refers to a condition in which the teeth do not evenly whiten. Technicolor teeth is generally seen only in those who have prior dental restorations like dental crowns, tooth-colored fillings, or porcelain veneers. This condition happens because porcelain and composite resin, materials used in tooth-colored restorations, do not lighten with teeth whitening. The natural tooth will brighten while the restoration will not, causing the teeth to appear to be different colors. Increased Tooth Sensitivity: Another possible side effect of tooth whitening is a temporary increase in tooth sensitivity. For most, increased tooth sensitivity only lasts a few days while in rare instances tooth sensitivity may last up to a month. Don't wait any longer to have a bright, white smile. Schedule a consultation today to see if Zoom!® teeth whitening is right for you!